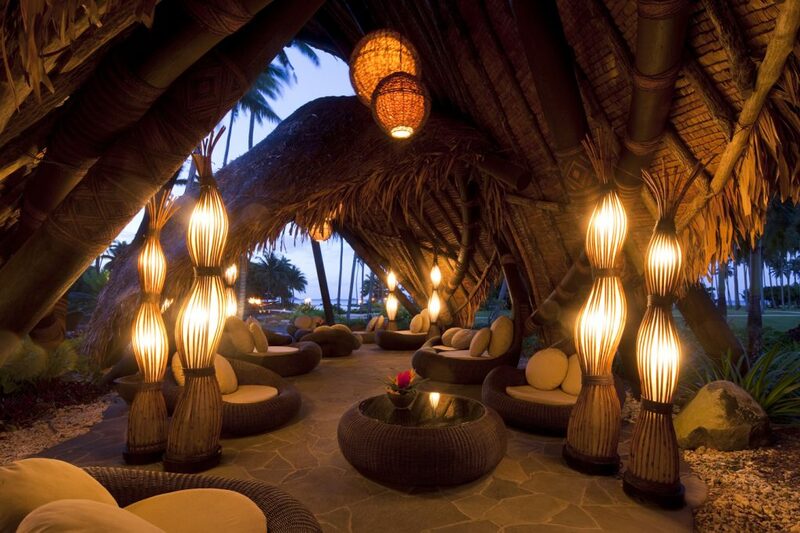 A private paradise resort on a tropical island, Laucala Island Resort is no ordinary hotel. 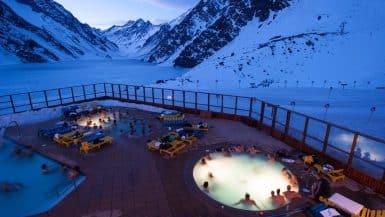 Once owned by the Malcom Forbes family, it’s been transformed into a luxury resort by Red Bull co-founder Dietrich Mateschitz. 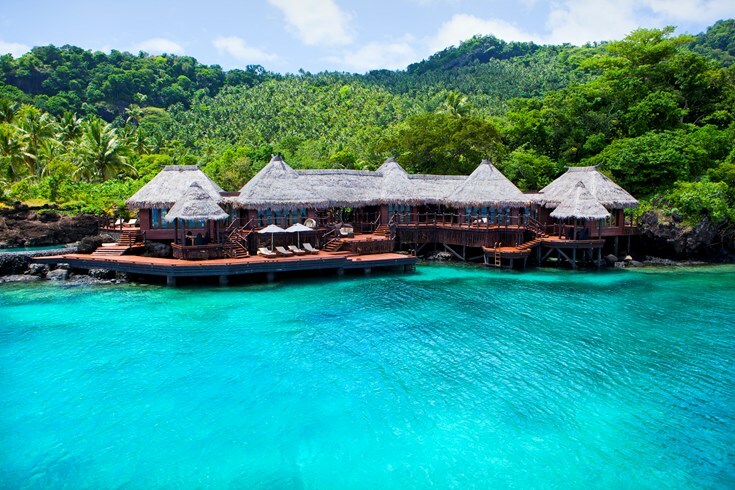 Now, Laucala is a hot spot for celebrities such as Oprah and George Clooney. 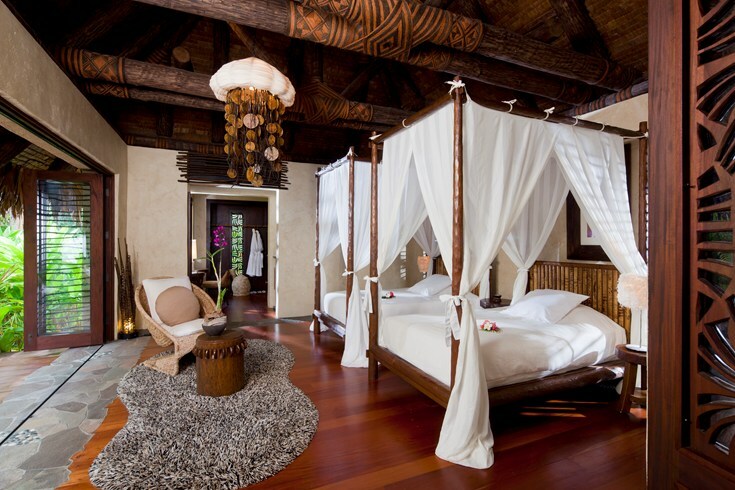 The resort has coral reefs, postcard-perfect beaches and lush rainforest. 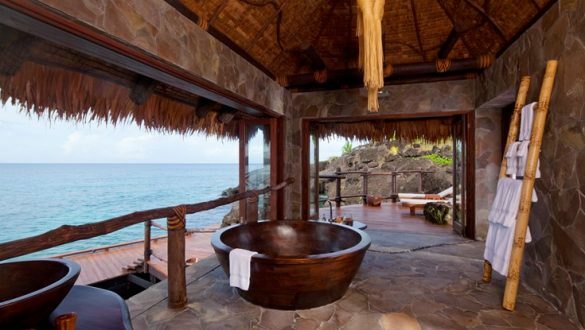 Laucala’s 25 villas, all glamorous versions of traditional Fijian dwellings, are perched on sea cliffs and are totally private. 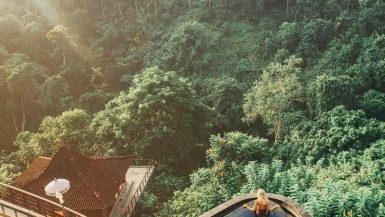 Private butlers and a glass cube swimming pool are just some of the little touches that make this one of the best resorts in the world. 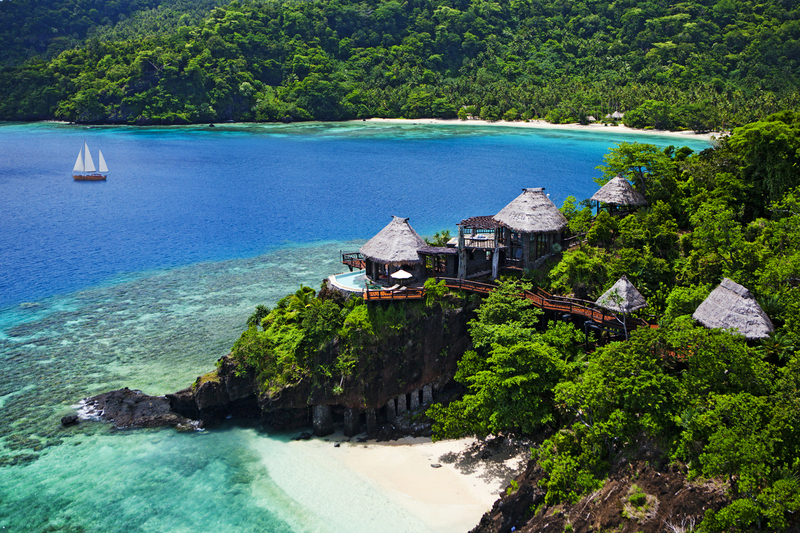 Where exactly is Laucala Island Resort? 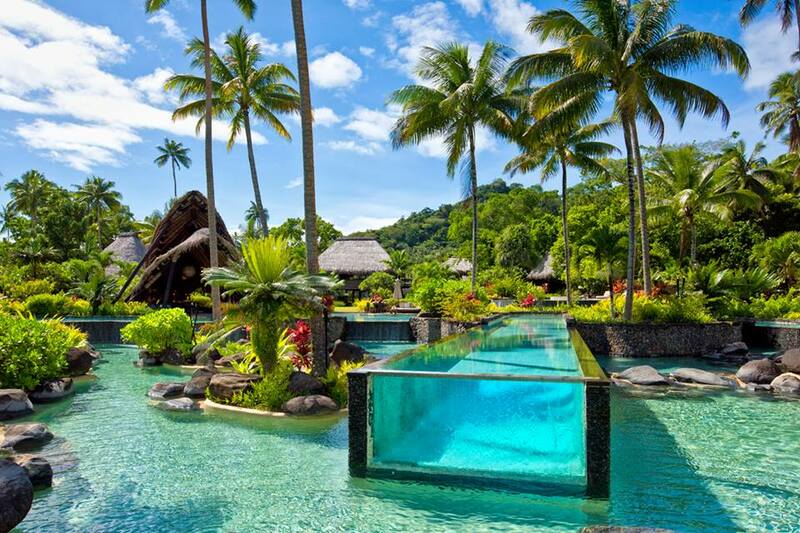 Laucala Island Resort is a private island in Fiji, in absolute paradise. 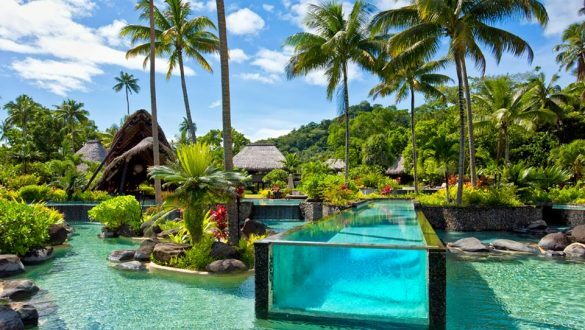 Laucala is one of three small islands off the northeast coast of Taveuni in Fiji. There’s coconut trees, a sustainable farm and miles of beach. 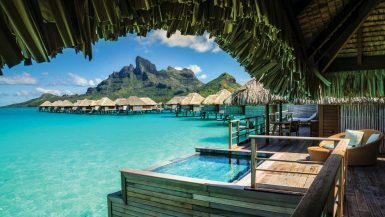 The resort even has its own landing strip, so guests arrive in a seaplane in 1 ½ hours from Nadi International Airport to Laucala Island. This is pure red-carpet luxury. 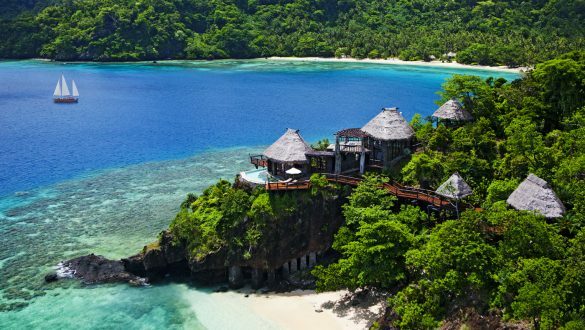 There’s 25 private villas, all with private infinity pools, as well as the “resort-in-the-resort”: Laucala’s Hilltop Estate (also known as Delana). The estate features three gorgeous bedrooms that are separate from each other. 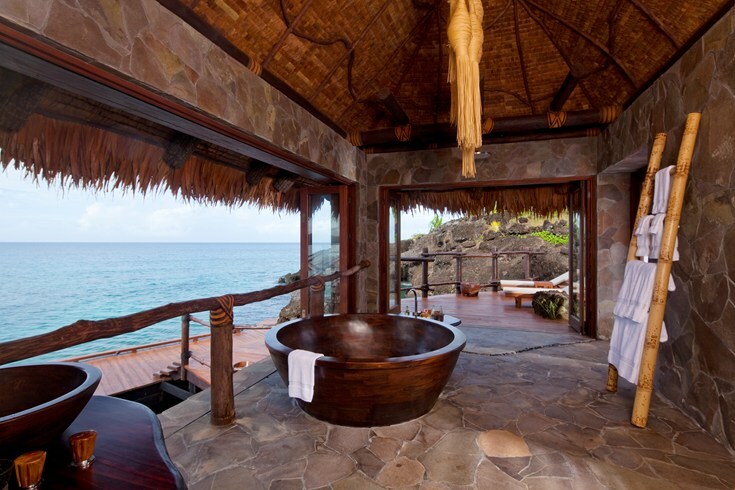 There’s outdoor bathtubs, handmade soap and a room service menu of food that’s 80% grown on the island. 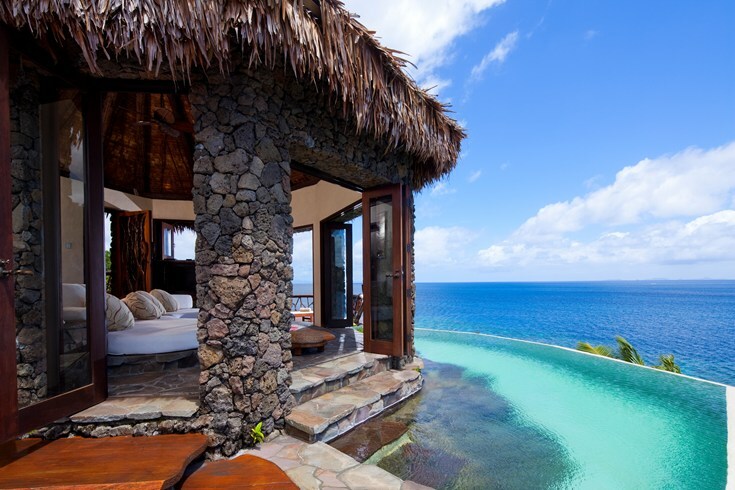 The villa comes with 360° panoramic views of the entire island. 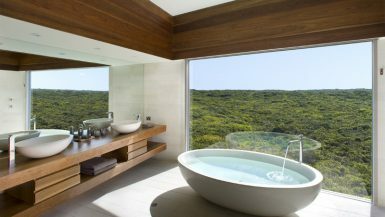 Oh, and it also comes with extra perks; including a private cook, a chauffeur and nanny. The island’s Water Sports Center is home to a fleet of 14 boats, as well as a submarine. 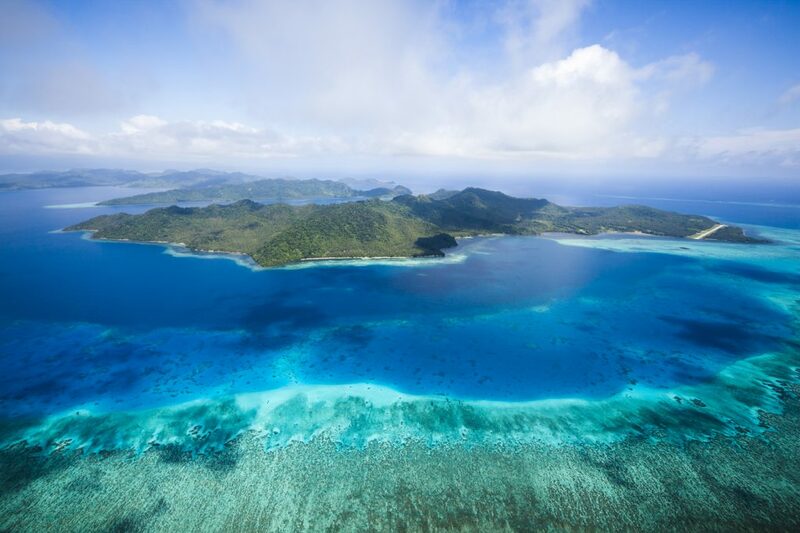 You can go snorkelling, windsurfing, kitesurfing and kayaking. Love horses? 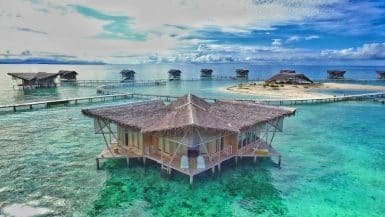 There’s eight beautiful Fijian steeds waiting for you. You can also play with PGA professionals on the 18-hole championship golf course, or just relax in the spa. The 25-metre-long glass swimming pool is surrounded by coconut palm trees and tropical flowers, as well as a funky pool bar. 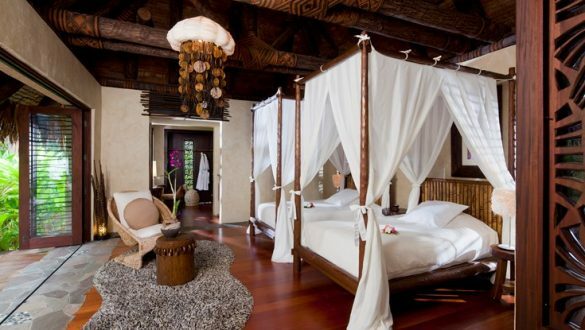 Somewhere this incredible doesn’t come cheap – rates start from US$ 4,800 per one bedroom villa per night. 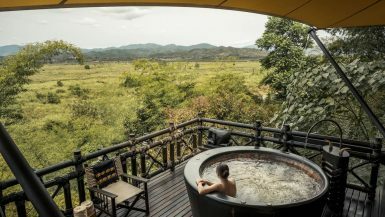 The elite Hilltop Estate starts from $40,000 per night. Rates include all meals and activities at the resort.